We love our Tech Partners! Behind every company YouTeam partners with is a team of leading technical experts, energetic founders and incredible projects. Because we work so closely with our partners, across multiple projects at a time, it’s important for us to know their people very well. 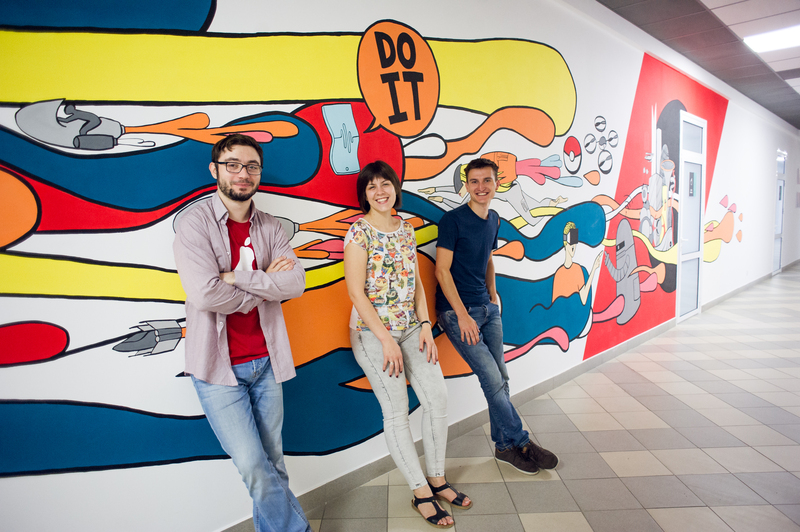 Last week we dropped by their head office in Lviv to meet the founders Andrii, Lidiya, and Oleg. 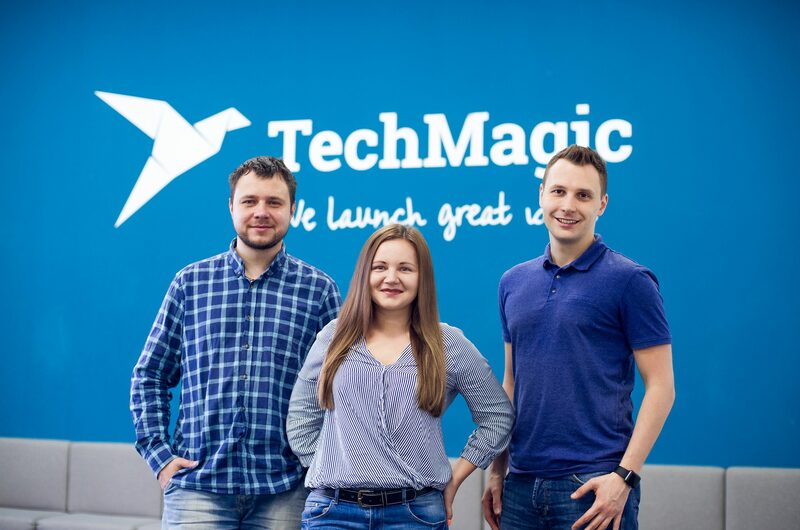 TechMagic was co-founded by Oleg (CEO), Andrii (CTO) & Lidiya (Head of HR & Communications). 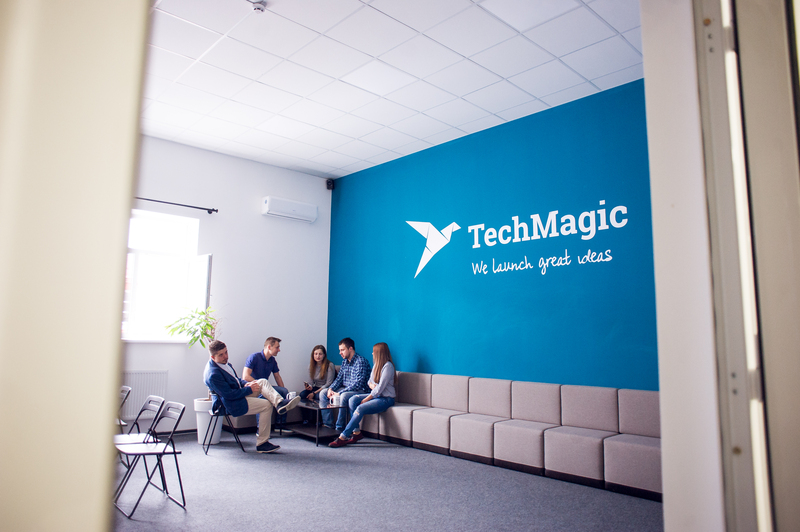 Their passion for working and developing client projects as part of TechMagic is very noticeable, however, they are really quite different in terms of their personal interests and strengths. Oleg has an active interest in philosophy and machine learning. Andrii has a passion for using theoretical mathematics to interpret phenomena in Physics, i.e. Quantum Mechanics. He dreams of contributing to projects requiring this unique skills set! 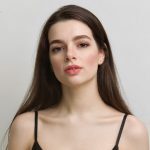 Lidiya is a polyglot with strong French Translation skills who doesn´t keep her life and hobby separate and enjoys travelling as part of her executive responsibilities. 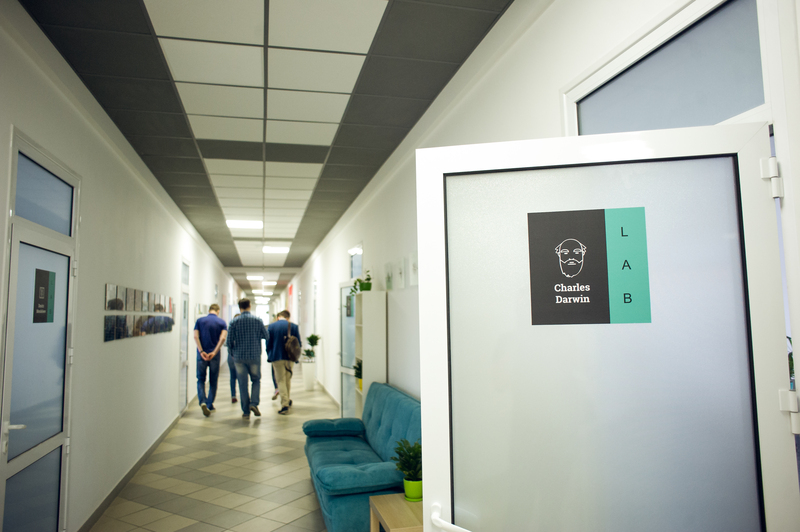 The founders led through their office where we encountered meeting rooms – each named after famous and inspirational creators, including Tesla Room, Leonardo da Vinci Room and Henri Ford Room. The room names serve to remind us of the fact that all of these people started as ‘nobodies’ with a simple idea and who ultimately managed to defy the odds to make a global contribution in their field. 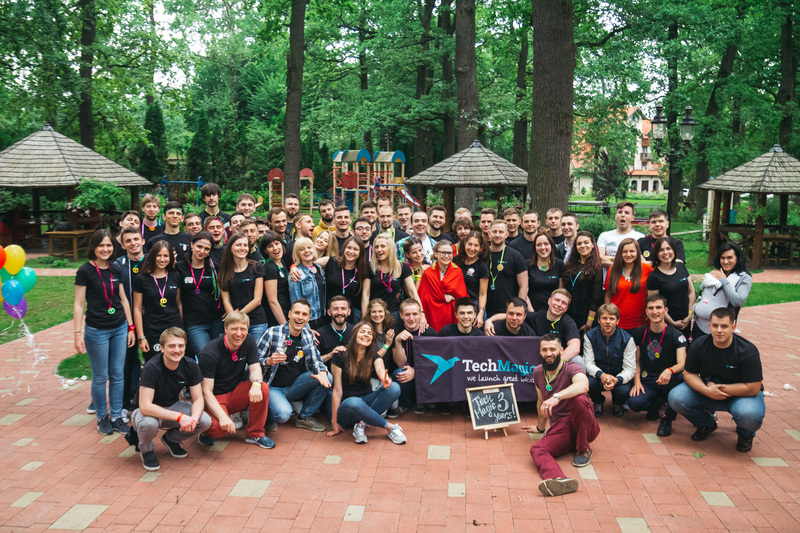 What lead to the opening and successful launch of TechMagic onto the Outsourcing Market? 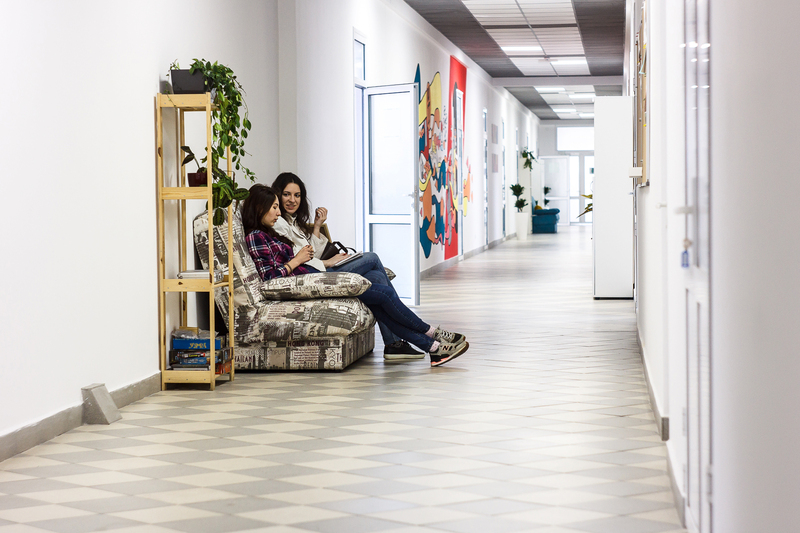 At some point, they both felt a desire to create their own products, which is when Lidiya joined them who at that time was assisting the launch of foreign businesses in Ukraine. She joined the guys to help develop their for product called – EventInArea App, an event discovery application allowing to find relevant events in cities. The EventInArea startup company satisfied the selection panel and was admitted into highly competitive EastLabs accelerator programme. 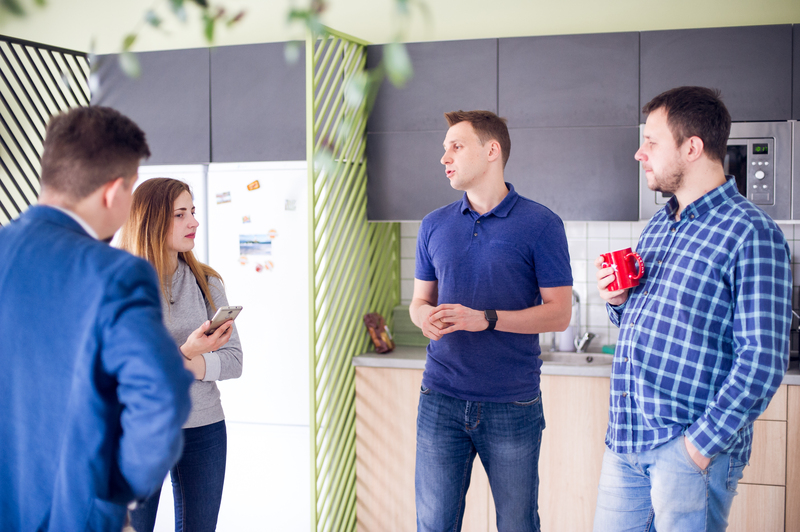 But they weren’t finished there, the next product which they created was a customer loyalty system called HappyScan, for which they were able to attract investment, form a team of ten experts and set up two offices, in Kyiv and Lviv. 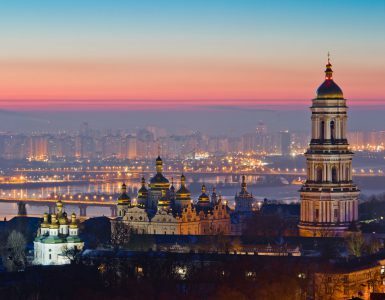 Unfortunately, the Ukrainian hospitality market was found to be significantly less developed than western markets and turned out to be unconducive to commercialise the product into. The founders muse that it felt like luck to find and secure their first client project. 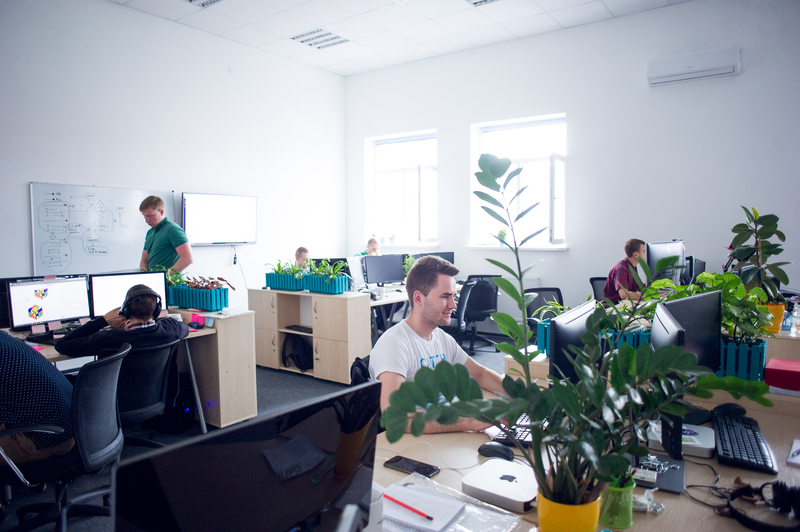 Andrii: “Our start-up development experience played a crucial role in our search for early clients. 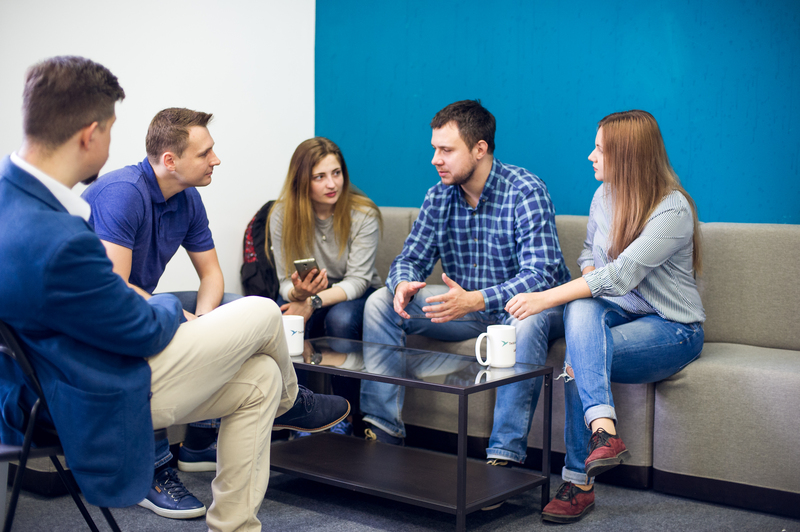 We could explain to clients that we could not only handle software development outsourcing services for startups but we understood much of the business side also. This strategy helped to get us our first two major clients who inspired us to develop the organisation further”. Lida: “Luckily, we are different. This allows each of us to focus on leading the organisation using our natural strengths with confidence, we all have areas for which we aren’t experts, but these can be captured skillful by other partners”. Nevertheless the MVPing mindset is a strong part of the company culture and is the inspiration for the company’s logo: image of an origami bird, which according to the founders symbolises the ability to do something with your own hands – a prototype, for example. 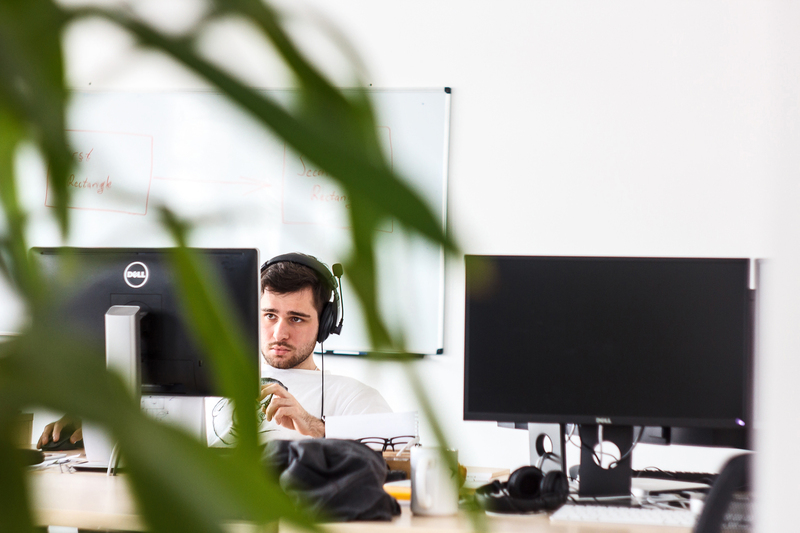 Over a period of three years the team has expanded to over 80 people, who together form a powerful ecosystem of java script and mobile experts. Apart from the specialists who are focussed exclusively on development activities, TechMagic works to strengthen and broaden its technical expertise. 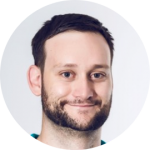 For example, many projects require Andrii’s input as a certified AWS specialist. Having this expertise in-house benefits not only the project, but value to the whole team. TechMagic’s Performance Review System is well integrated into the company’s operations. Review frequency depends on an individual’s role within the company and usually takes place quarterly, biannually or annually. Professionals are evaluated against criteria which include overall work performance, client-orientation, level of initiative etc. An employee is assessed by him/herself and by their team leads. After initial assessments, they meet to compare their assessment results and negotiate a final performance review. TechMagic plans to launch a 360-degree performance review where employees do a personal assessment, and then receive the assessment from their client, team lead and colleagues’. TechMagic plans to launch a 360-degree performance review where employees do a personal assessment, and then receive the assessment from their client, team lead and colleagues’. Where is TechMagic’s client base? What are the calibre and scale of the projects they deliver? Most of TechMagic’s clients are from the US but the team is actively working on collaboration with companies from the Netherlands and the United Kingdom. Recently, the company entered the Australian market and signed a contract with a powerful media company, which broadcasts Australian Open and Winter Olympics. TechMagic is also developing a service to allow the streaming of the 2020 Tokyo Olympics. 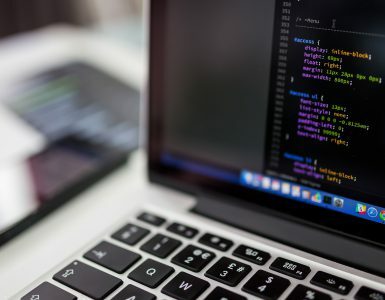 If you are looking to hire dedicated developers for your next web or mobile app, visit TechMagic company page and learn more about their portfolio highlights and technologies they use.